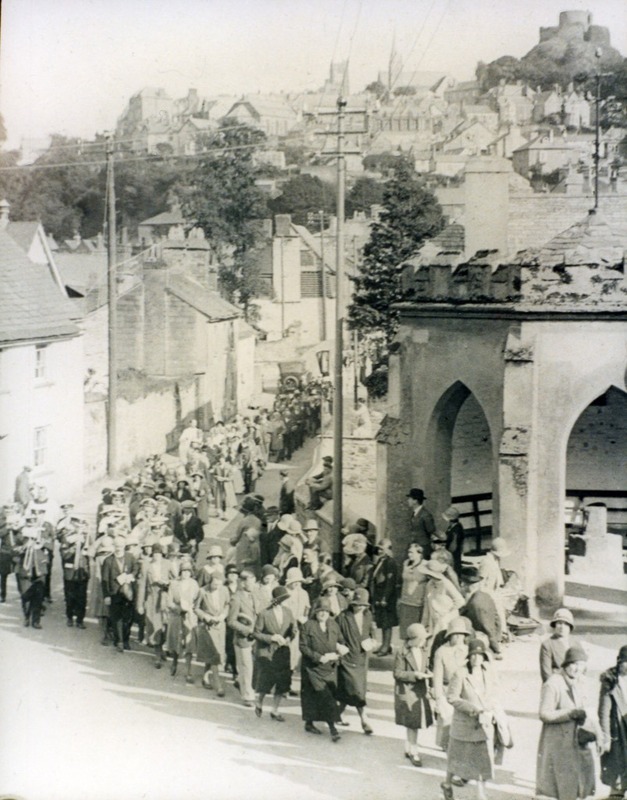 A procession passing The Roundhouse in Newport Square, Launceston. This building was paid for by the Duke of Northumberland in 1829 and Parliamentary election results were announced here. “Newport Square, Launceston, c1930,” cornishmemory.com, accessed April 20, 2019, http://cornishmemory.com/item/WAT_04_052.